This Olympic National Park trail features serious elevation gain and switchbacks galore. Old GPS? Get a nav lock before rainforest canopy limits initial reception—or upgrade. Turn left for the first of many switchbacks to the Seven Lakes Basin and the jagged, snow-capped High Divide. Pack an extra memory card: The photo ops here (4,539 feet ) include a wide alpine tundra and the glacier-laced flanks of 7,929-foot Mt. Olympus. Bear right below Bogachiel Peak. Extra day? Turn left/west in .2 mile to bag the 5,474-foot summit or make the 25-mile loop through the Seven Lakes Basin (bear canisters required, $3). 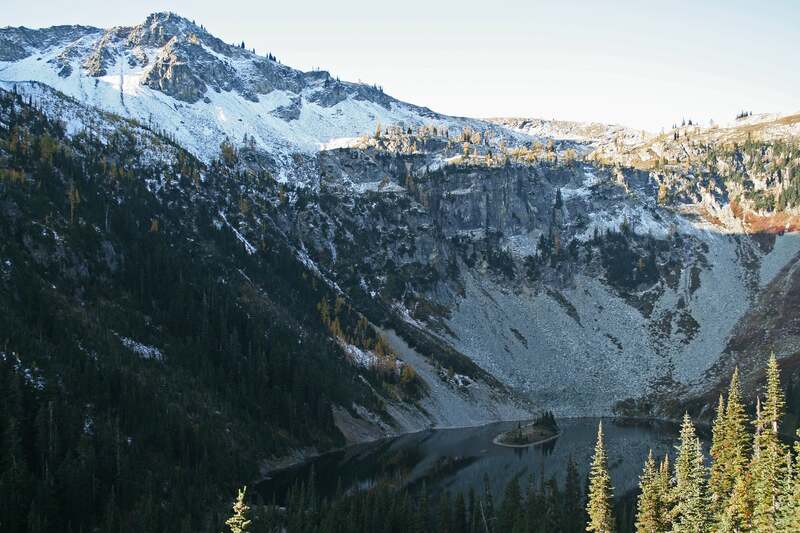 Camp lakeside in this small cirque, or hike north to the Heart Lake Shelter; backtrack to the Hoh River trailhead.